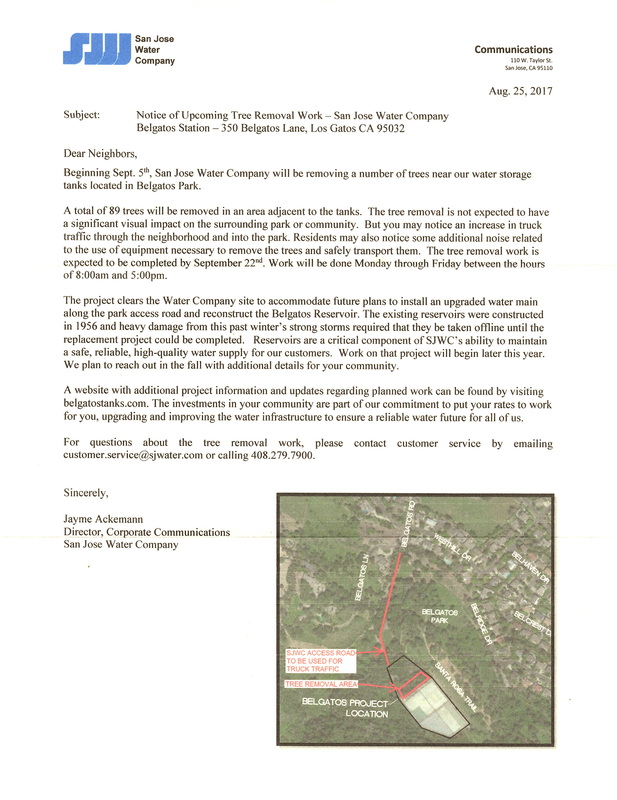 The San Jose Water District announced that 89 trees will be removed near the water storage tanks in Belgatos Park. The work begins September 5th and should end by the 22nd, and work will run between 8am and 5pm. Due to the heavy rains last year, some infrastructure needs repairs. With the water district removing 89 trees, there will be the ability to upgrade the water main. The notice can be viewed below for those who missed it.